Below you’ll find more than thirty of Dr. Maisel’s titles. Each book on the list comes with a thumbnail description, a longer description, and a purchase button. 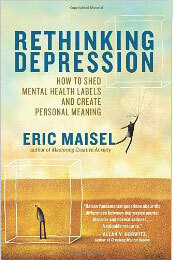 In recent decades, much of the unhappiness inherent in the human condition has been monetized into the disease of depression and related “disorders.” Maisel persuasively critiques this sickness model and prescribes a potent new approach that updates the best ideas of modern psychology. The result is a revolutionary reimagining of life’s difficulties and a liberating model of self-care that optimizes our innate human ability to create meaning and seize opportunity — in any circumstance. Coaching the Artist Within contains a dozen simple lessons for sustaining a creative life. Examples, exercises, and questions help readers explore and reflect on underlying issues that may be keeping them from pursuing their urge to create. Topics include committing, planning and doing, generating mental energy, achieving a centered presence, becoming an anxiety expert, upholding your dream, and maintaining a creative life. Creative people will experience depression—that’s a given. It’s a given because they are regularly confronted by doubts about the meaningfulness of their efforts. Theirs is a kind of depression that does not respond to pharmaceutical treatment. What’s required is healing in the realm of meaning. 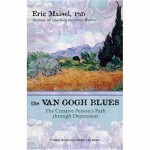 In this groundbreaking book, Eric Maisel teaches creative people how to handle these recurrent crises of meaning and presents a step-by-step plan for handling their special brand of depression and rediscovering the reasons they are driven to create in the first place. 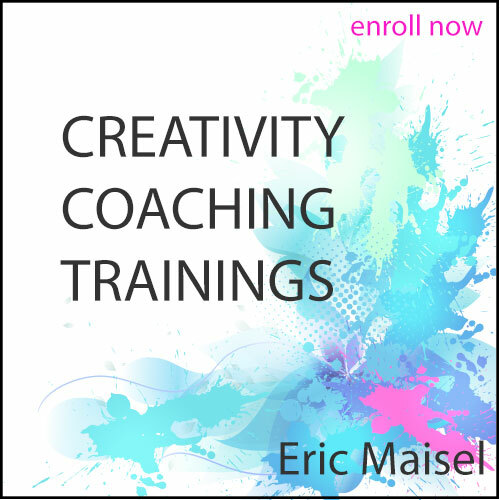 In Mastering Creative Anxiety Eric Maisel identifies more than a score of issues that produce anxiety in the lives of creative and performing artists and then presents an anxiety management menu from which to choose the strategies that will work best for you. Mastering Creative Anxiety includes practical insights and proven techniques for overcoming the challenges and fears that plague creators of every kind as well as teaching tales that convey effective approaches to creating fearlessly and abundantly. Over the years, Eric Maisel has worked with thousands of creative people, including writers, musicians, artists, dancers, and actors. He knows firsthand the struggles they must face, and through his many books and professional practice he’s helped them find balance in their lives while pursuing their artistic endeavors. Firmly grounded in psychology, Creativity for Life explores all the challenges confronting an artist: deciding if you have talent (or if that’s even important); determining your level of commitment; pursuing stardom; honing your craft; overcoming blocks; taking care of the business end of your artistic life; finding your place in culture; coming out as an artist; finding love and friendship inside and out of your artistic community; and using your art to explore your inner life. A comprehensive approach to the much-misunderstood artist’s life, this book, contains both nuts-and-bolts ideas and exercises and inspiration to nurture growth as an artist and a person. For writers, artists, musicians and creators in every field, this book offers a complete addiction recovery program specifically designed for the creative person. Creative Recovery presents ways to use your own innate creative abilities in the service of your recovery and lays out a complete program for living a fully creative and addiction-free life. In Fearless Creating Dr. Eric Maisel outlines the stages of the creative process, from nurturing the wish to create, choosing your next subject, starting your work, working, completing your work, to showing and selling your work, identifies the anxieties and challenges associated with each stage, and presents tactics and strategies for meeting those challenges. Affirmations for Artists is comprised of descriptions of the challenges that artists face, quotations illuminating these challenges, and powerful affirmations that artists can employ to stay emotionally on track as they live the artist’s life. The issues described include sustaining energy, going, deep, handling day jobs, mastering craft, breaking through blocks, dealing with insecurities and mood swings, and many more. To create is to take serious risks and an understanding of the affirmation process is an invaluable resource for the creative risk-taker. The Creativity Book is a complete creativity education in one volume. Everything you need to know to increase and unleash your creativity, by America’s leading expert on the psychological side of creativity. 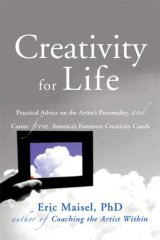 In this book, Maisel presents a complete one-year plan for unleashing your creativity. The Creativity Book includes two discussions/exercises per week and culminates in a guided project of your choice–from working on your current novel to planning a new home business. Ten Zen Seconds presents a powerful, ten-second technique that teaches you how to use a deep breath as a container for a specific thought. This technique is simple to grasp, simple to use, simple to practice and simple to master. You’ll find yourself able to do things that previously felt too difficult to attempt. You’ll be able to calm and center yourself before an important meeting or conversation. You’ll be able to change your basic attitudes about life, becoming calm and positive where before you may have been anxious or pessimistic. Blending Eastern principles of breath awareness and mindfulness with Western principles of positive psychology, Ten Zen Seconds offers a powerful antidote to stress, procrastination and anxiousness. The symbolic home for creative people everywhere, Paris has been inspiration for countless artists and writers. In this dynamic book, well-loved author Eric Maisel gives writers the guidance they need to take a literal or figurative soul-renewing artistic sojourn in the city of light. It shares with readers how and why to take a creative visit to Paris, provides logistics for those committed to a trip and inspiration for those who hunger for a taste of the expat life, features the expert advice of America’s foremost creativity coach, and is filled with lessons and anecdotes that convey the spirit of the glorious city. This book will inspire anyone to create. In this beautiful book, complete with drawings by San Francisco artist Paul Madonna, Eric Maisel provides important lessons for writers and other artists set against the backdrop of San Francisco. Thirty individual essays profile the best sections of the city for pumping up the juices (“The View from Bernal Hill,” “South of Market”), noted literati of the past (“Mark Twain and the Onion”), dealing with those inspiration-inhibiting earthquake fears, and much more. To write what they want to write the way they want to write it, most writers need to carve out a psychic space as well as a physical one. In A Writer’s Space noted creativity expert and bestselling author Dr. Eric Maisel shows readers how to do just that. He takes writers by the hand and guides them deep into their own creative process, helping them to: identify the emotional and physical impulses that spark their creative process; streamline their writing lives to make the most of the time actually spent writing; devise personalized rituals that get writers writing and keep them writing; find/create a physical space in which to work that complements the writing process; and design a writing schedule that’s easy to keep no matter what. In The Atheist’s Way, Eric Maisel teaches you how to make rich personal meaning despite the absence of beneficent gods and the indifference of the universe to human concerns. Exploding the myth that there is any meaning to find or to seek, Dr. Maisel explains why the paradigm shift from seeking meaning to making meaning is this century’s most pressing intellectual goal. Nothing gets in the way of writing deeply and regularly more powerfully than a writer’s negative thoughts: that he doesn’t have a chance, that he isn’t talented, that it’s too late to start, that selling and marketing are too difficult, and so on. These thoughts produce blockage and rob a writer of the motivational juice needed to start and complete projects. In Write Mind Dr. Maisel presents a simple technique for eliminating these negative thoughts: learn to hear them for what they are and then substitute more productive ones. By providing 299 examples of “wrong thinking” followed by “right thinking” substitutes, Maisel teaches writers how to get a get a grip on their mind so that they can reach their goals and realize their dreams. Presented in a lively format, Living the Writer’s Life offers advice from established authors, along with their personal testimonials on the writing process. Coping with writer’s block, rejection, and the challenges of self-discipline and many other issues are covered. Expert guidance on writers’ conferences, networking, self-promotion, the editorial process, and other matters help aspiring writers or those with writing-career problems to resolve. Not just another dry, how-to instruction book, What Would Your Character Do? is the first interactive guide that encourages writers to get inside their characters’ heads as they create them. 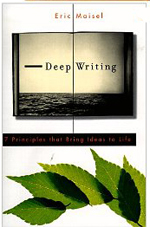 This fascinating book: provides more than 20 quizzes to help writers analyze their characters’ traits; features easy-to-understand psychological summaries and prompts for further exploration; and includes a wealth of writing and psychology expertise to help writers create believable characters. Whether readers are exploring how their characters react to the death of a loved one or how their characters learned to ride a bike, they’re sure to emerge with more compelling heroes, heroines and villains than ever before. Here is an expert’s guide through the elements of a nonfiction book proposal, including the outline, chapter summaries, marketing/publicity, book and chapter titles, and more. Filled with exercises designed to help a writer conceive and create a desirable proposal, and checklists to keep track of the project’s progress, The Art of the Book Proposal provides the framework on which to build a great idea, as well as intelligent, empathetic instruction on how to produce a proposal that will capture the interest of an agent or editor. While most how-to writing books focus only on the nuts and bolts of putting a proposal together, Maisel, considered by many to be America’s foremost expert on the psychological side of the creative process, also helps the writer overcome mental barriers to producing the best work possible. A complete program for handling performance anxiety, with performance anxiety broadly defined to include the anxiety that wells up in a creator when she faces the blank canvas or the blank computer screen. Many techniques for managing performance anxiety are described, among them cognitive techniques, relaxation techniques, disidentification techniques, and guided visualizations. Maisel is a creativity coach, trained as a family therapist, and has been working with creative and performing artists for more than twenty years and writing for thirty-five years. Sometimes painful barbs from friends, family, coworkers, or strangers can lodge in our minds and eat away at our core. When you allow criticism–even self-criticism–to affect you that powerfully, it can be toxic. And if you don’t break the cycle, toxic criticism can make you sick, strain relationships, and prevent you from fulfilling your dreams. But you don’t have to live that way! By using the proven strategies in Toxic Criticism, you can deflect any hurtful comment that comes your way, rationally decide whether the criticism has any validity, and, if you choose, give a calculated response or use it as an opportunity to make a positive change. Despite all the high-tech advances of the last several years, one aspect of the work environment remains sadly inefficient: coworkers’ ability to communicate well. Emails abound, teleconferences connect distant offices, and deals are closed in a matter of minutes. Yet most of the things people accomplish — or don’t — depend on their ability to communicate with others. These 20 tips, designed to serve both employee and employer, include advice on how to offer critical feedback, understand the messages one receives, sort out motivations, offer praise, and keep people informed. Each suggestion is followed by an explanation along with examples. Brief exercises help readers assess their own communication skills. Aimed at busy parents who want to improve their relationships with their spouses and children, 20 Communication Tips for Families lays out in simple terms commonsense ideas that can apply to any family: be direct but kind; don’t let your stress do the talking; the first duty of love is to listen; and more. A short explanation follows each tip, expanding on it and giving concrete examples of how to implement it. Funny and poignant, The Fretful Dancer is about an underutilized, underemployed Brooklyn Heights denizen who decides that he wants to become a modern-day saint. Since he has no idea what that actually means, he decides to try his hand at good deeds like “saving” his neighbor from her battering husband. But nothing turns out as he expects. Enjoy this comic novel by the author of Dismay, The Blackbirds of Mulhouse, Aster Lynn, and Murder in Berlin. A blank journal with quotes for the creative spirit. In pocketsize and journal-size editions, this journal/sketchbook of inspiring quotes from artists in every field helps readers connect with their own creative process. Includes quotes from Norman Mailer, Picasso, Janice Joplin, Mozart, Georgia O’Keefe, and others. A beautiful gift and self-gift. A blank journal with quotes for the creative spirit. Writers and other creative people will appreciate this beautifully designed compendium of thematic quotations. Artists on Devotion offers more than 200 thought-provoking quotes about the discipline and dedication required to create art. Pablo Picasso, Flannery O’Connor, Robert De Niro, and Joyce Carol Oates are among those who share their wisdom. A beautiful gift and a beautiful self-gift. A blank journal with quotes for the creative spirit. Brief quotations on each page of this volume in the Quotable Muse series delve into the nature of love – both as a romantic endeavor and as a fuel for creativity. Contributors represent a variety of mediums: there are dancers, actors, comedians, composers, poets, painters, and more. Included are such luminaries as Colette, Whistler, Nikki Giovanni, Louise Nevelson, Sue Townsend, and Allen Ginsberg. A beautiful gift item and a beautiful self-gift. Eric Maisel has written more than thirty books to help people live more creative lives despite the difficulties our society throws in our path. In Everyday You, Maisel takes a fresh and innovative approach to inspire all who would live a mindful, joyful life, grounded and connected to their work, their families, their own spirit.